Work with two strands held together throughout. Repeat rows 1-6 to the desired length. Love the look of the two colors together. This is awesome! Thank you! 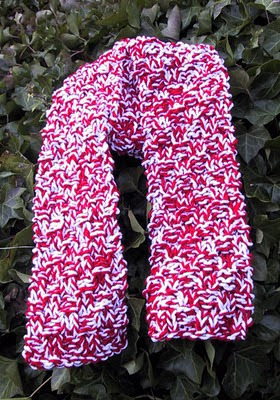 I was looking for a scarf for the Special Olympics that was quick to knit and incorporated both colors. Thanks! The scarf looks great!